Each age group of Evergreen girls lives in their own lodge, which has multiple bunks around a spacious living room. Our girls tell us that lodge living is one of the most special aspects of life at Evergreen. The communal structure of our lodges gives girls the opportunity to develop a real relationship with every other person in their group (and as a result the development of cliques is rare). Our lodges offer many of the comforts of home and are a peaceful retreat for our girls to return to after a full day of activities. Live-in counselors offer guidance, advice, and a supportive adult presence that our campers find comforting and essential to a healthy, fun life at camp. 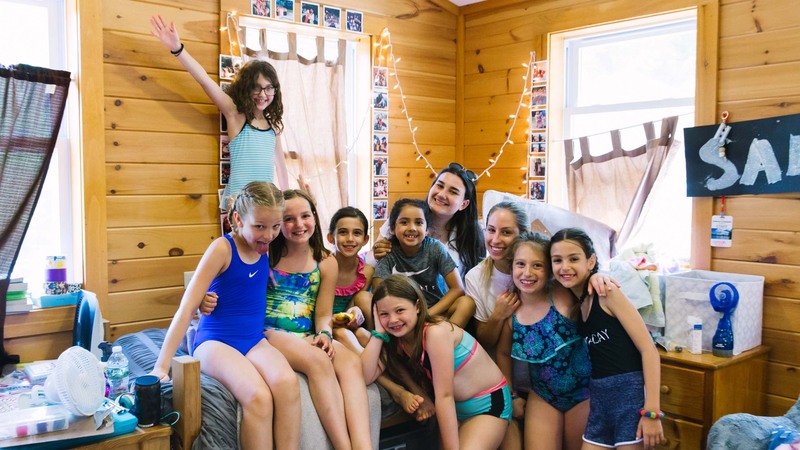 Whether they are looking to connect with friends in the living room or take some time to relax in their bunk, lodge living offers each girl the ability to have her individualized needs met. Evergreen bunks and lodges have electricity, hot water, and private showers and toilets.